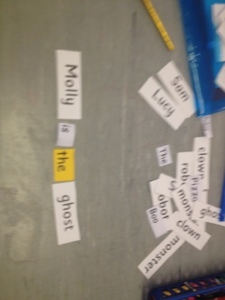 Today we made lots of sentences. 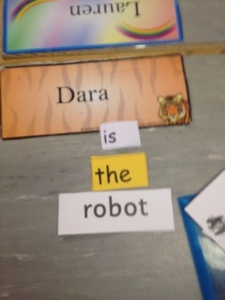 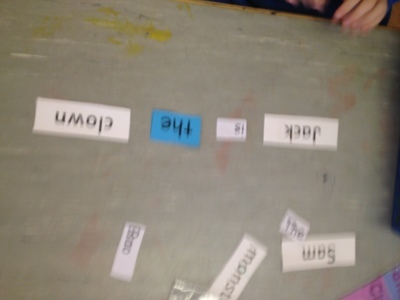 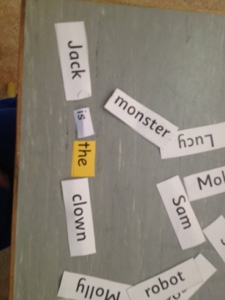 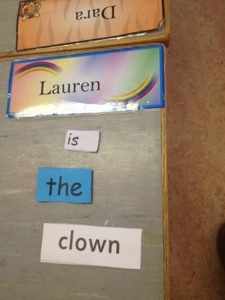 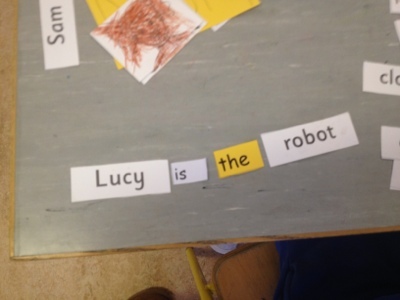 Some children made some very funny sentences also. 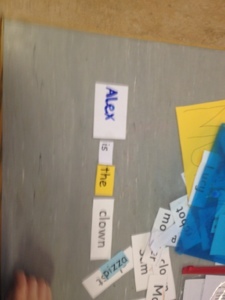 This would be a great activity to practice at home. 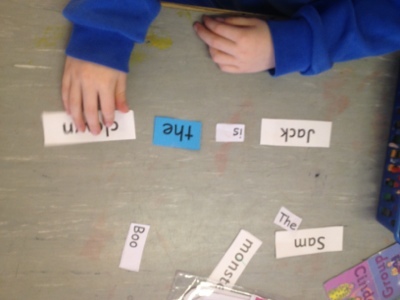 We love to beat the clock and find the words of the sentence teacher called out before time runs out!